I had the opportunity to hear demo units of the Vision Ears Stage series custom in-ear monitors and jumped on the opportunity. Before being invited to join he tour, I was in contact with Felix from Rhines Custom Monitors and had a custom Stage 3 on the way. 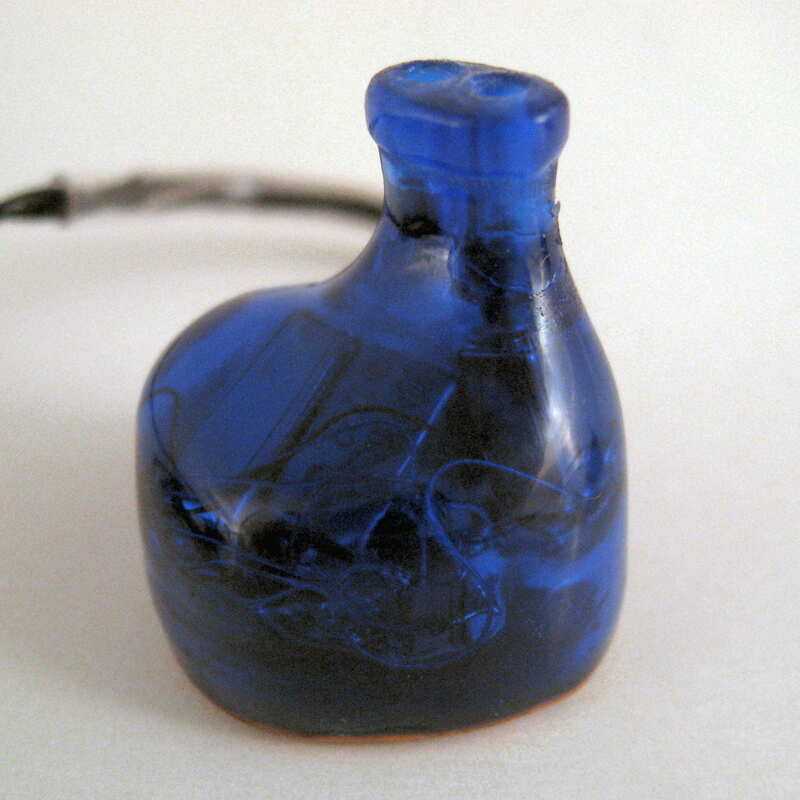 I mention Rhines because prior to the existence of Rhines and Vision Ears, they were both Compact Monitors, started by Felix of Rhines. 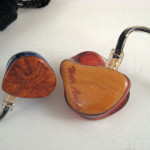 Both companies Stage series products use the same tuning, therefore they should sound the same if the shell is done the same way. My customized Stage 3 arrived before the demo units, which gave me a reference for performance of the demo units, which is important since demo units can sound like the real thing, or not at all like it. Ear tips also play a large role in how close a demo performs to a customized unit, and I tried every silicone tip that would fit on the large, oval nozzles in an effort to get the demo Stage 3 to sound as similar to the customized Stage 3. The closest ear tip was a single flange ear tip, which was used for all models. After comparing the Stage 2 and Stage 4 with some other CIEMs, I wasn’t impressed and decided to try Comply foam ear tips. They were very difficult to get on, but the sonic improvement was worth the effort, as the Stage 4 went for a serious underperformer to an impressive product. I thought the Stage 2 was overpriced due to a comparison with a sub-$300 dual driver, but my opinion changed after I redid the comparisons with the foam tips on the demo units. In my experience, it is always better to be able to compare a demo unit with the real thing to achieve a baseline as demo units can vary drastically in how they compare with the actual customized product. 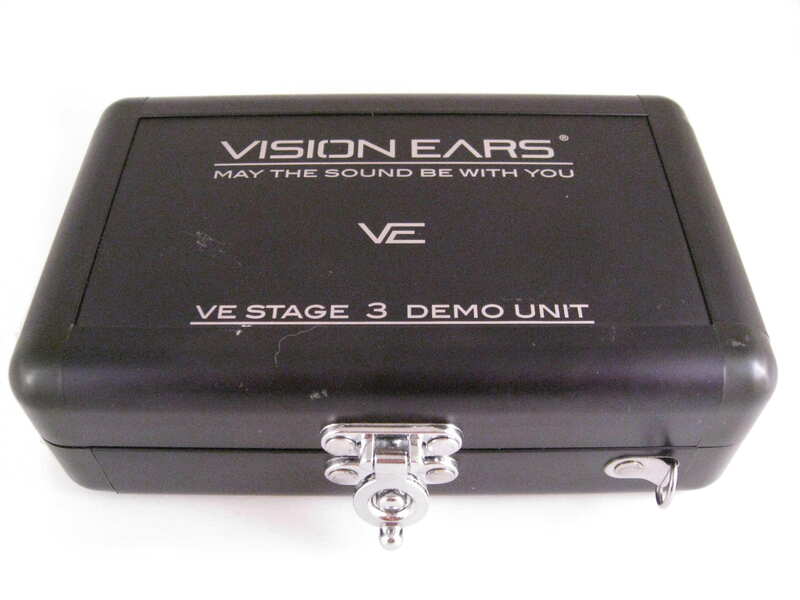 Vision Ears Demo Stage 3 Vs. Rhines Custom Monitors Customized Stage 3: Trying various ear tips, I found triple-flange ear tips to exaggerated the bass while bi-flange, like the ones included with the demo units, cut the treble. 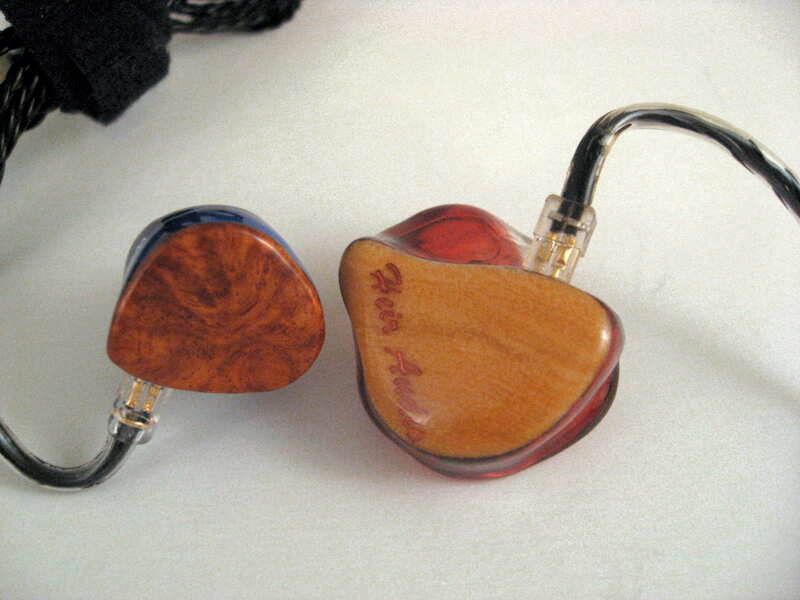 I settled on large single flange ear tips, which sounded quite similar to the customized unit with a deep insertion. As expected, the sound between the two was quite close, but the customized 3 is slightly brighter with better, more impactful and reverberant deep bass. Spatially, the demo unit was a bit more forward than the customized Stage 3, but the customized Stage 3 projected much further than the demo. The custom Stage 3 did the little things better, such as instrument separation and imaging with a sharper focus better note definition. Treble is more detailed, yet smoother on the customized version as the demo could be a bit harsh. These differences led to the custom unit sounding much more natural, adding realism and increasing engagement with the music. 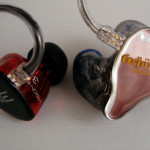 After the initial comparison, I used foam ear tips on the demo unit for another comparison, which brought the two closer, but the customized version still outperformed the demo. The demo treble was tamed and about as smooth as the custom version, and the overall sound was a bit more realistic, but detail levels, imaging, and projection still lagged. Comply foam tips are known to tame the treble and increase bass, so take that into consideration when reading. The Stage 2 is warm, rich, smooth, and forward with decent space and a presentation that has excellent depth and imaging within. Both ends of the frequency spectrum have good extension, and the huge single bass driver provides plenty of punch and note sustainment. Treble is smooth yet detailed with decent extension and a fairly smooth and forgiving sound. But listening to the Stage 2 doesn’t make you think about the performance, but instead the music, as the sound signature is musical, engaging, and enveloping leading to a connection to the music. The Stage 2 is the most expensive dual driver I have some across and also the best sounding I have heard to date. Vs. Stage 3: The stage 3 sounds more open, natural, effortless, clearer, detailed, and spacious. The Stage 2 has more bass emphasis, but the Stage 3 extends a bit further. The upper midrange and treble are pulled a bit more forward with the Stage 3 leading to better clarity. Vocals are more balanced sounding on the Stage 3, with a brighter, more natural tone and cleaner presentation, but there are definitely similarities. Vs. Stage 4: The Stage 2 sounds similar to the Stage 4, but a more intimate presentation and less oomph and extension on both ends of the frequency spectrum. Add smoother treble and more detail along with a cleaner, clearer sound and the differences are noticeable, but not always huge. The Stage 4 has better depth and width to the presentation, smoother treble, and is more detailed, although detail articulation is similar, so the differences are subtle. The Stage 4 is more forgiving of poor tracks and has a more natural, dynamic, and realistic sound overall. 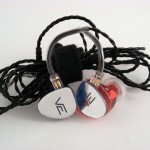 Vs. InEarz IE-P250 ($295): The Stage 2 is more mid-forward and warmer than the P250, which has an overall smoother note. The bass of the Stage 2 conveys more power with similar bass depth, but the ability to sustain deep bass notes longer. Vocals and even some instruments are more mid-forward with the Stage 2 as the P250 upper midrange is more lad-back in comparison, which can make some notes sound hidden in the background. Imaging and presentation depth is better with the Stage 2 while the P250 soundstage is slightly wider. The Stage 2 is a bit cleaner and clearer with more instrument separation and a slightly sharper note to go with the more prominent upper midrange. 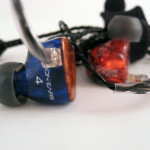 Dynamics are better on the Stage 2, and the overall sound is more lively. Detail levels are close, but the Stage 2 pulls ahead slightly. While the Stage 2 is better overall, there is a large price difference to substantiate the performance difference. 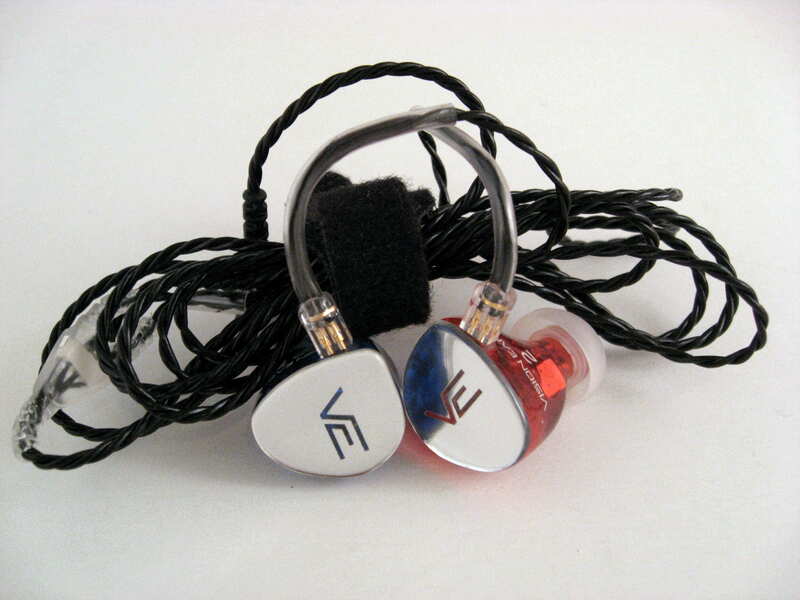 Vs. Lime Ears LE-3 (529€ ~ $710): The LE-3 is more laid back than the comparatively mid-forward and warmer Stage 2. The LE-3 has a more spacious soundstage, higher level of detail, and better clarity while the Stage 2 has more bass emphasis and capability as well as better dynamics for a more lively and musical sound. Vs. ProGuard P2+1 (£300 ~ $500): The Stage 2 has more of a bass emphasis, is more mid-forward, and technically is more capable than the P2+1. Clarity is similar while the Stage 2 has a larger and more 3D soundstage, better imaging, and dynamics. The Stage 2 sounds more natural overall, while the P2+1 has a sound that is perfect for on-stage musician use. The Stage 3 is the clearest of the group, with a brighter tonal balance yet retaining most of the smoothness of the Stage 2 and 4. 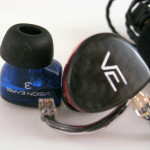 The sound is closest to that of the traditional reference sound reminiscent of the Logitech Ultimate Ears In-Ear Reference Monitor, but different. Vs. Stage 4: The Stage 4 is a bit more laid-back with a richer, warmer sound in comparison to the brighter Stage 3. The 4 has more bass and better reverb for a more fun and musical presentation than the comparatively neutral 3. Treble extension is similar, but the Stage 4 bass extends deeper with more deep bass enhancement. Clarity is better on the Stage 3 with slightly better layering and instrument separation as well as the brighter tone. The treble on the Stage 3 can sound slightly harsh in comparison with the Stage 4 on certain tracks. 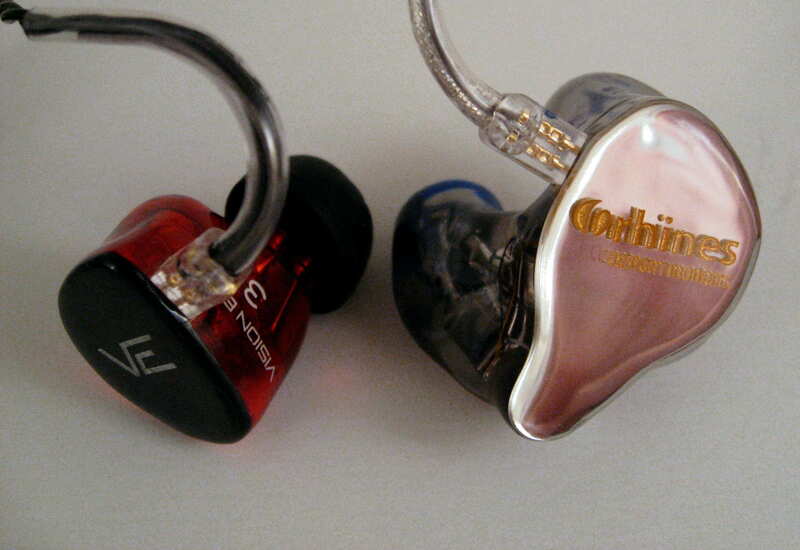 I didn’t compare the Stage 3 with other CIEMs since I will be writing a full review of a customized Rhines Stage 3. The warm and smooth Stage 4 has a musical and fun sound with a very good recreation of soundstage space, even with the relatively forward sound. With powerful and deep bass, smooth and layered mids, a bump in the upper midrange and lower treble, and good upper extension, the and treble that is present, with a doesn’t enhance any part of the spectrum much resulting in a relatively flat overall sound that doesn’t lack power. Vs. EarSonics EM4 (890€): Sharing similarities in frequency response from the bass through the midrange, the two become divergent in the upper midrange. This combined with the more up-front presentation of the Stage 4 leads to significant differences in the focus on certain instruments, as the Stage 4 sounds very forward in many regards while the EM4 sounds lacking and darker in contrast. Vocals on the Stage 4 are more up-front, detailed, and have a more realistic tone. 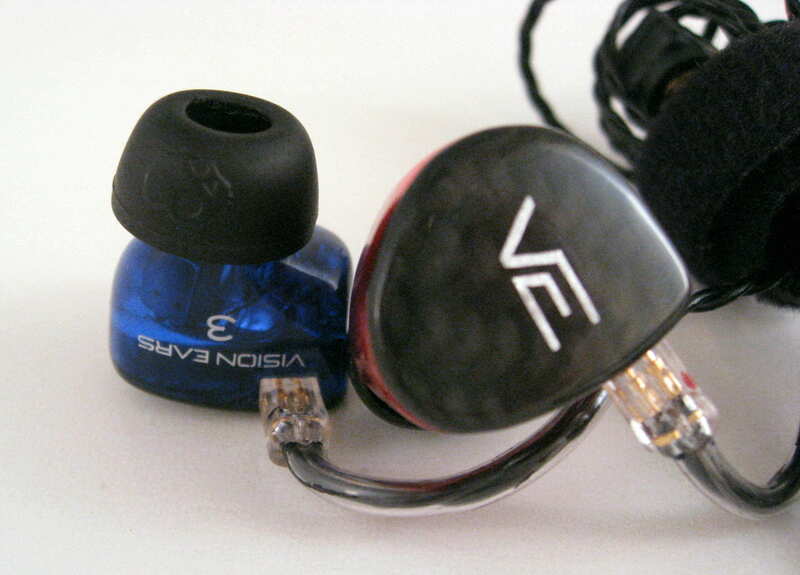 The treble is smoother and more forgiving on the EM4, but not quite as extended. The EM4 has more of a bass emphasis, with more reverberation. Overall, the Stage 4 sounds more precise, focused, and clear. Vs. Spiral Ear SE 5-way Reference (1269€): More forward than the SE5, the Stage 4 is similar in many ways such as voicing, soundstage proportions, and instrument placement. The SE5 has a larger presentation space with more projection and better treble extension leading to a more open sound. The Stage 4 upper midrange is a bit less prominent, but the treble is smoother, if less detailed and resolving. Vocals are a good deal more up-front on the Stage 4, as is the bass, which has a bit more emphasis while lacking the precision of the SE5. The SE5 is more neutral overall, but the Stage 4 is in the same ballpark. Vs. Fit-Ear PS-5 ($1650): The PS-5 presents in a more up-front way, with more bass power in comparison to the more laid-back and 3D Stage 4. Vocals on the PS-5 are more forward and in focus with similar clarity and tonality. The treble of the PS-5 is smoother, yet a bit more prominent. With the entire PS-5 presentation more in your face, details stand out better and are more articulated. The PS-5 punches harder than the Stage 4 while the Stage 4 sounds a bit more neutral in note thickness, especially across the midrange. 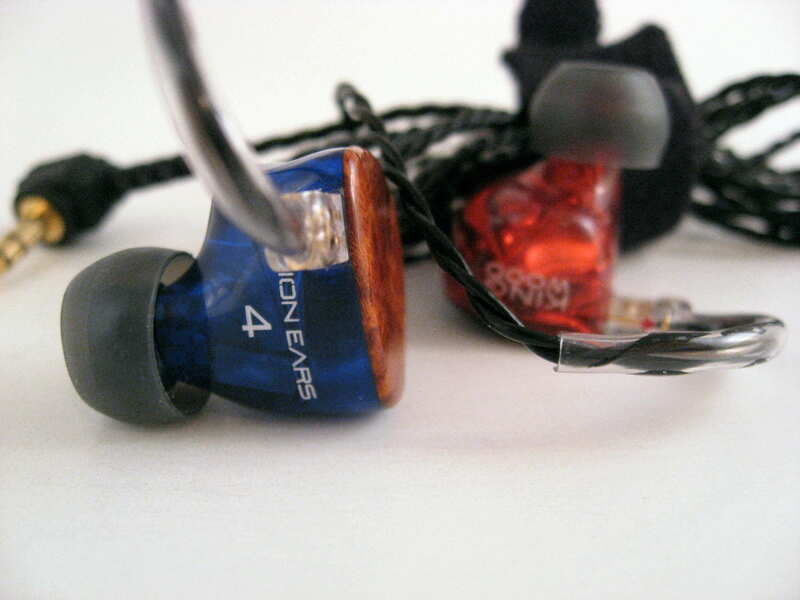 The PS-5 has better coherence from midrange to treble while the Stage 4 is more transparent. Vs. Heir Audio 8.A ($1299): The 8.A is more mid-forward and up-front in presentation as well as warmer with significantly more deep bass. The Stage 4 has a more open and brighter tone to the midrange on up, which is also more linear and extends further in the treble. Overall, the 8.A bass and lower midrange are more forward than the upper midrange on up while the Stage 4 has better balance from top to bottom, placing instruments differently. The Stage 4 sounds cleaner and clearer overall for a more natural recreation of music. Vs. ACS T1 Live! (£699): The Stage 4 sounds more balanced from top to bottom compared with the more mid-forward T1 while the T1 is more neutral vs. the warmer Stage 4. Bass is enhanced on the Stage 4 compared to the T1, if just by a bit, and the T1 bass is clearer. Voicing is close, but the Stage 4 recreates vocals with a bit more warmth. While the T1 is more mid-forward in general, the Stage 4 vocals are a bit more up-front, leading to different soundstage localization. The midrange of the T1 is clearer and more precise, with a vocal focus. The T1 is brighter than the Stage 4 and treble seems to extend further. 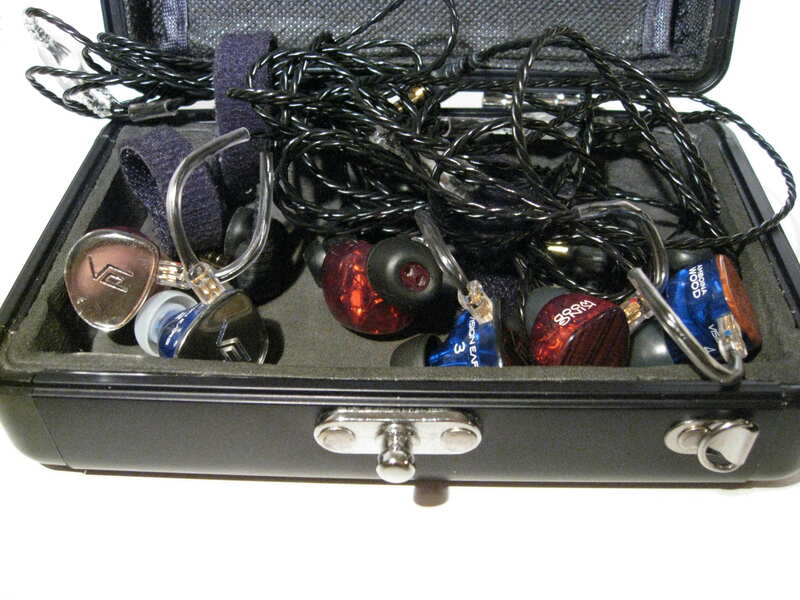 The Vision Ears Stage series custom in-ear monitors are tuned to deliver music in a warm, rich way while not skimping on the detail with good spaciousness. Bass is plentiful and powerful across the lineup and even the dual driver can sustain bass notes well, while the treble has a rawness to it. The relatively up-front presentation, ample bass capability, and organic sound creates an experience that is involving and enjoyable. Even though the pricing is high, these monitors have been heralded by many, and after having a chance to listen to them I can see why.